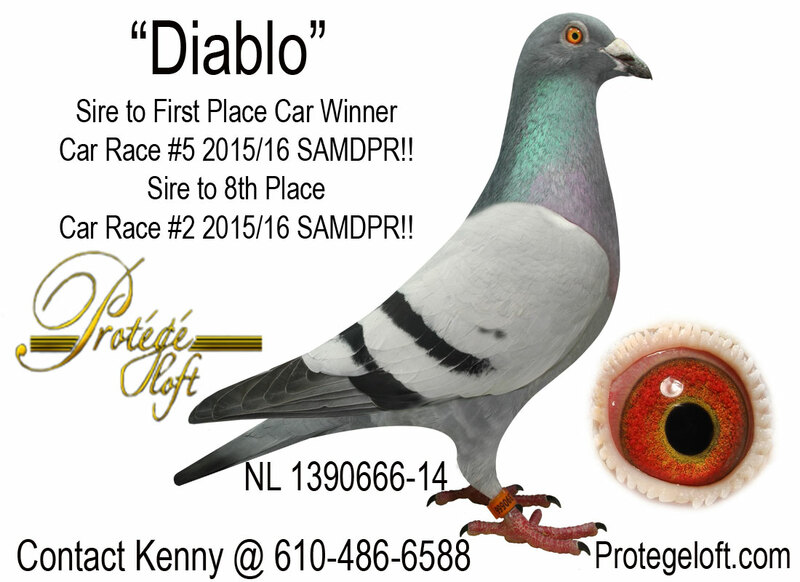 Now 2 years in a row "DIABLO" has raised Super birds in the SAMDPR! Once Again Here,s the Best I could offer in which the pedigree is Simply Loaded with Huge Wins in South Africa! In this pedigree you see First Overall Grand Average Ace... Second Overall Average Ace , Car Winners and Much more! Off the top of my head this family has won 5 or 6 Cars in the Million Dollar Race in about that many years. These performance birds are Tough in The African Heat and bred from The Very Same Family from Arie Dijkstra that I have had immediate success with the First year of Breeding them right out of the Box! Do you want a Very Nice Daughter of "DIABLO" that's bred the right way and ready for a cross? She is a Half Sister (same father) to 8th Car Race 2, First Car Race 5, First 3 bird Challenge! 10th and 27th Car Race 5 and 63rd in the SAMDPR Final!! He,s Father to Car Winner2 and the Super flyer in SA "Whicked" winning many pools also. These pigeons will get you a check for sure. Give them a try and you will see. In this Auction I gave from my Very best so Everyone should feel very confident in any of these birds offered. 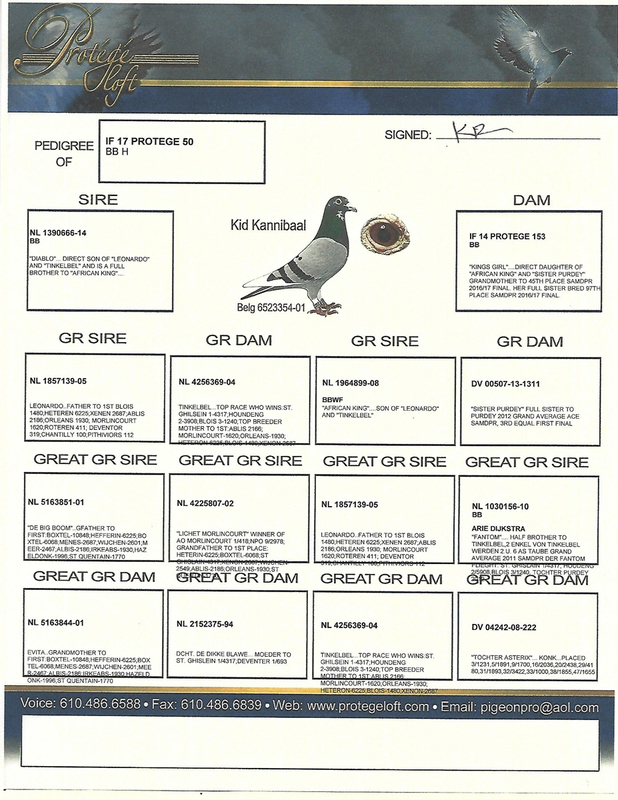 This is the Biggest Auction I have Ever done here in the States with the offering a total of 11 birds. 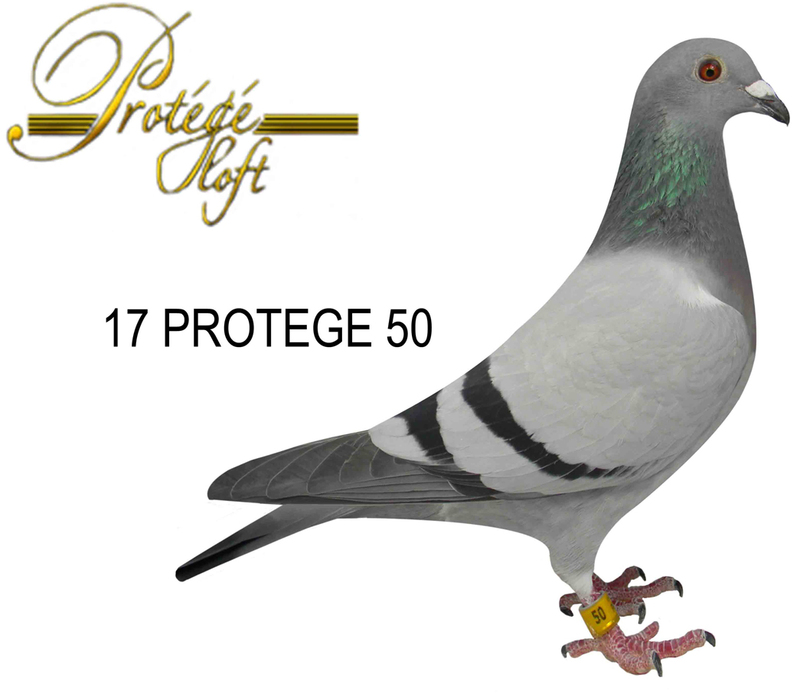 As a Builder here in Pennsylvania I really don't have time to do Events such as this Auction properly but my passion for obtaining The Worlds Best pigeons has also been a Never ending pursuit which also takes a good amount of my time and money of course.